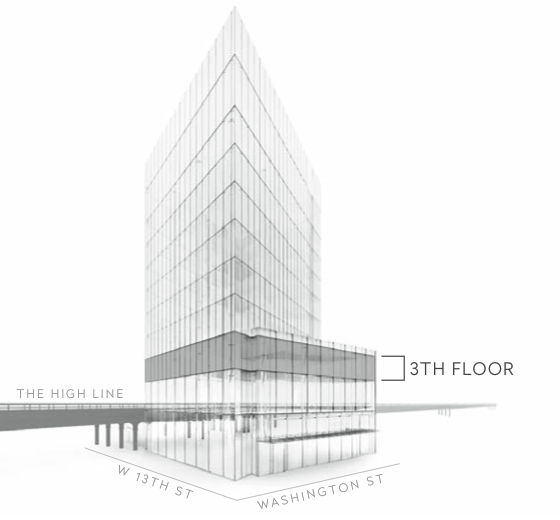 860 Washington is targeted for LEED Silver Certification. 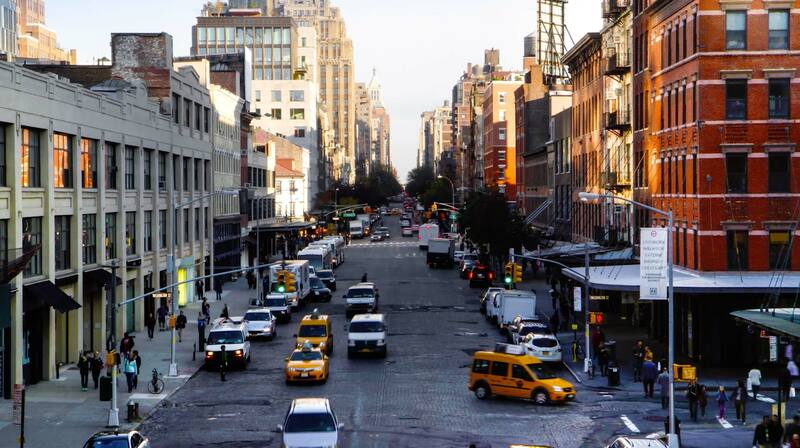 The state-of-the-art interiors directly overlook The High Line Park. Floor-to-ceiling windows, uninterrupted by a column-free window-line, surround eight highly efficient floor plates. All office floors enjoy East, West and South views of water, greenery and cityscape vistas. The bespoke lobby is accented with museum-quality artwork courtesy of the William Louis-Dreyfus Family Collection. The concierge desk provides full service 24 hours a day, seven days a week. The Access Control Management System is equipped throughout the building to include control readers, video security, intercom systems, and full audit trails for monitoring the three high-speed elevators which service all eight office floors. 860 Washington features more glass than any other building in The Meatpacking District, offering a truly unique office environment. Ideally crafted to maximize views out of the building and daylight penetration into the building, the smart design features include a side core layout allowing for triple exposure and column-free perimeter windows. Under-floor HVAC, electrical and telecom distribution systems provide maximum workspace flexibility. Column-free perimeter windows, with five-foot-wide custom glass panels that measure more than 13 feet high, flood the eight office floors with natural light and allow tenants to enjoy direct views of The High Line, the Hudson River and the New York City Skyline. The modern loft-like open floor plates and advanced building systems offer complete design flexibility for custom build-outs. The private terrace for the 4th floor tenant at 860 Washington is an exclusive 1,580 square foot perch that offers dramatic North, East and South-facing exposures; a panorama that encompasses One World Trade Center and The Empire State Building. 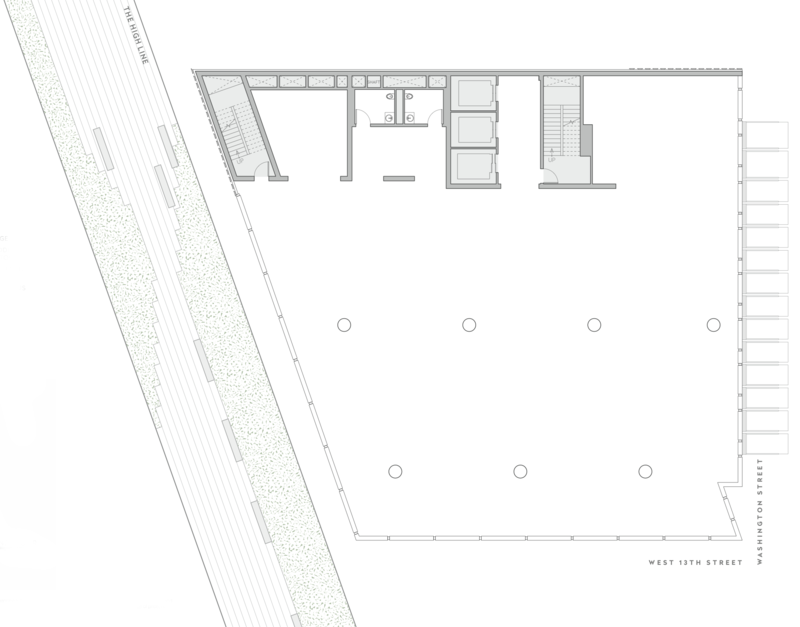 This rooftop park, overlooking the iconic Diane von Furstenberg flagship, is a private workplace amenity that can be used for special events, company gatherings, and/or art installations. 2,529 SQUARE FEET ON THE GROUND FLOOR WITH WASHINGTON STREET FRONTAGE. *DIVISIONS ARE SUBJECT TO CHANGES AND/OR MODIFICATIONS. Although all information furnished regarding property for sale, rental, or financing is from sources deemed reliable, such information has not been verified, and no express representation is made nor is any to be implied as to the accuracy thereof, and it is submitted subject to errors, omissions, change of price, rental or other conditions, prior sale, lease or financing, or withdrawal without notice and to any special conditions imposed by our principal.